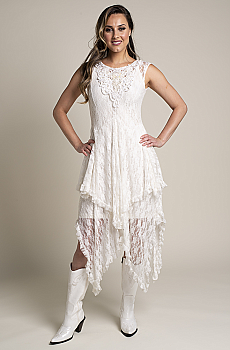 This Elegant Western Wedding Wear Outfit with handkerchief hem lace off white dress has a romantic Victorian touch to it. This lovely Sleeveless dress has its own separate lining. This Elegant Western Wedding Wear Outfit is princess-seamed and double-layered down to the lettuce edged. The beauty and the workmanship of this exquisite dress is just superb! The front of this Wedding Dress is hand embellished with venetian lace, pearls and beads. 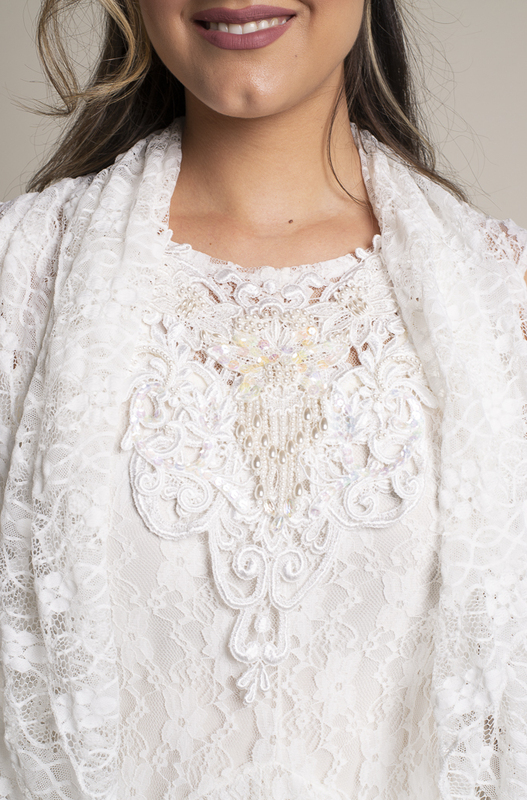 The Western Wedding Lace Long Vest completes the look of the Wedding Wear Outfit. Open front of this elegant vest drapes beautifully in soft folds. 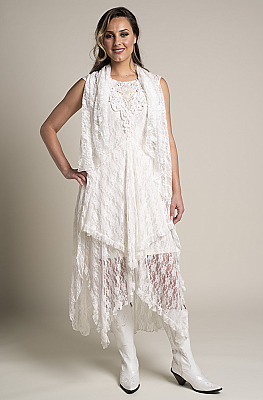 Western Wedding Lace Long Vest can also be worn with Jeans or skirts for a different look.